Ah social media. With so many platforms, characteristics and etiquette which alters across the seemingly never ending channels, it can seem an eternal struggle getting to grips with this multi-limbed beast. This 'beast' is further complicated by the 'what to do' when dealing with customers on social media. Sure social media is great for getting content, promotions and imagery out there. But its real strength lies in its ability to allow true engagement with YOUR customers. There have been many brilliant examples of B2C brands and companies that have taken social platforms by the scruff of the neck to fully utilise their potential. But people know that. So what do people not know? Mainly how to engage with great B2B social media marketing that increases engagement, leads and ultimately clients. Although plenty of businesses use social media in one form or another, many simply do not have the same success as their B2C counterparts. The ever insightful Kipp Bodnar notes, with "60% of the sales cycle is over before a lead ever talks to a salesperson , it has never been more important for marketing to be involved early in the buying process." Social media therefore provides you and your business with the tools to nurture your current client-base and grow your potential customers. 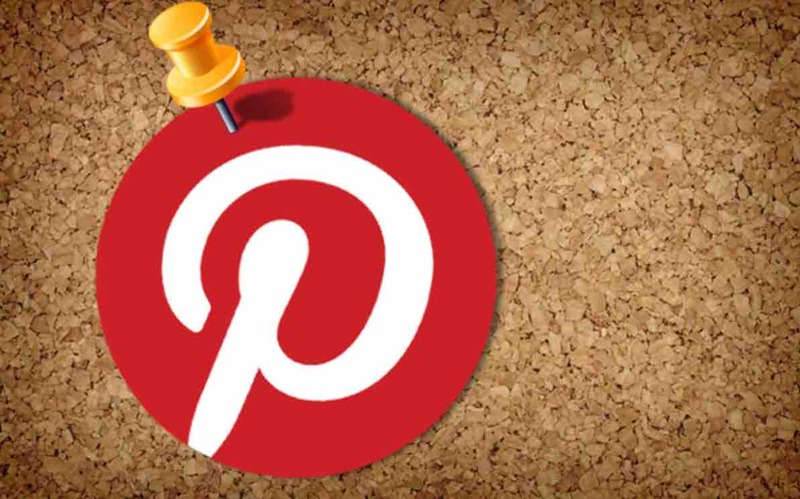 So here is a 5 examples of businesses who maximised their social media marketing. This is a classic example of business maximising what they have. 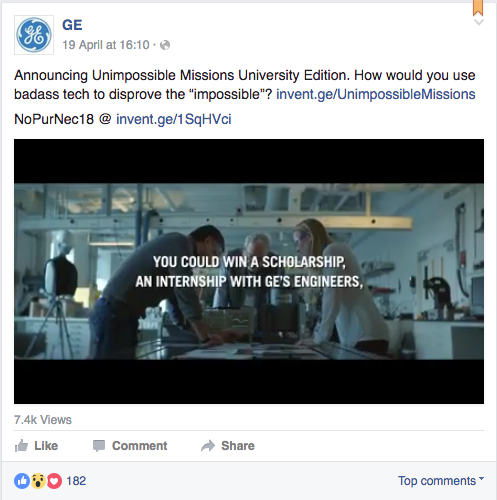 Often dubbed the 'most exciting boring brand' General Electric have shrugged off the dull, outdated persona of the 20th century to embrace social media. Their imaginative, lively Facebook campaigns have encouraged B2B clients to engage in topics surrounding not only GE and its products but - taken from the horses mouth - have developed a "community where forward-thinking individuals can join the conversation around innovation in energy, health, transportation and infrastructure". Using images, video and open ended questions, they have shaped a conversation that goes beyond the 'normal' boundaries of what you would expect from GE. Instead they have opened topics which go to the heart of what their audience wants! Just look at their latest post. The main body and point of this post is exciting and almost as an afterthought is linked back to technology and the industry. Take-away: be un-boring! 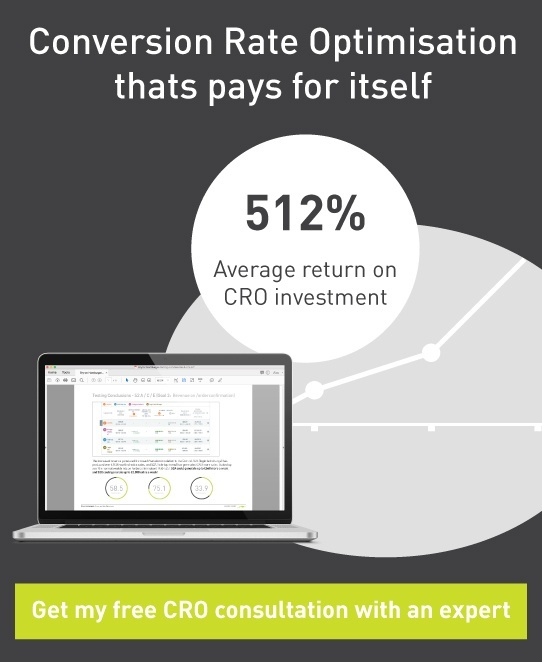 Surprise, excite and delight your audience with engaging rich content. 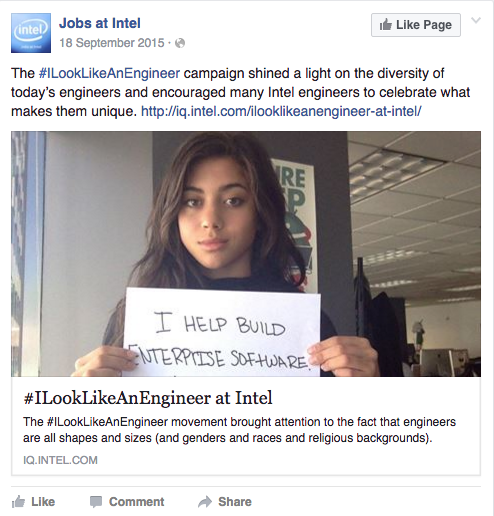 This could never be more true than Intel's decision to celebrate the diversity of its own engineers and workers with the hashtag ‪#‎ILookLikeAnEngineer‬ which trended in the summer of 2014. The global movement - which aimed at tackling sexism and diversity in engineering sectors - was embraced by Intel across their social media channels. Firstly, the use of Intel employees gave a human face to an otherwise faceless multi-national. This notion of real people behind a brand has worked for B2B and B2C marketing for years. But the main genius lies in, what Gary Vaynerchuk dubs, 'joining a conversation'. Joining is easier than creating and is far less intrusive. As the above quote notes, create 'content that people most want to share'! Joining this movement ensured that Intel joined a great cause which people could engage with and share with their networks. Whilst the traffic surrounding the movement allowed each post to gain traction without Intel having to work particularly hard. Take-away: why intrude on peoples busy days by creating a conversation when you can join one! 'A picture speaks a thousand words', or so goes the saying. 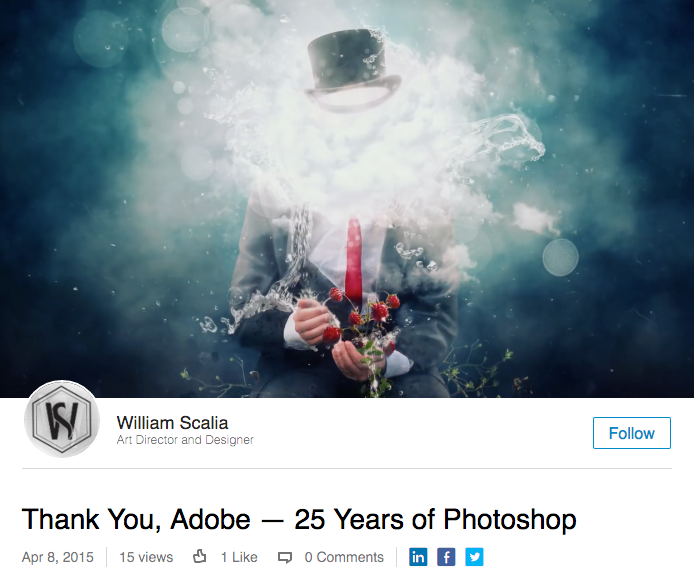 But this is inherently true of the Adobe '25 years of PhotoShop' campaign which they released on LinkedIn. Known for its ethically company culture, Adobe used LinkedIn and its audience in order to celebrate the quarter of century milestone for its much loved photo editing software. Using some of the best work from professional who used the software, Adobe engaged with its audience like never before. 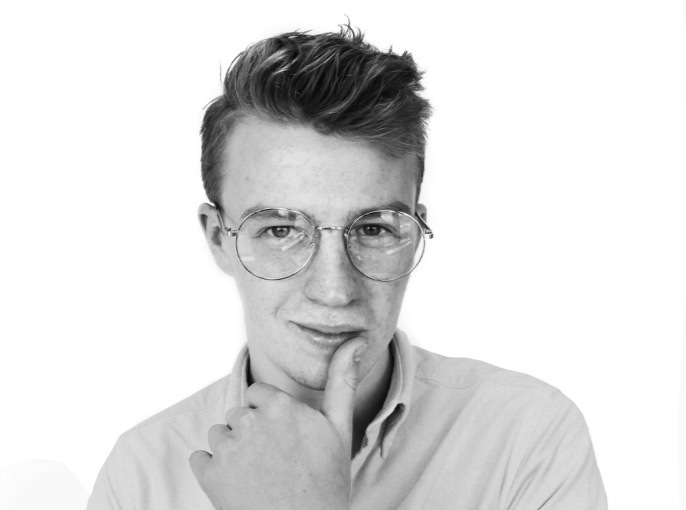 Producing stunning showcases of users work ensuring a proper community vibe was created around the campaign. This neatly nets new recruits whilst rewarding existing customers. Using stunning photographs which encouraged its audience to share their content, Adobe have nailed LinkedIn professional platform as well adding a fun to the mix by incuding its own users. Take-away: use your audience! They will be your best marketing tool, so reward them for loyalty by making them the centerpiece for a campaign. Everyone is busy. 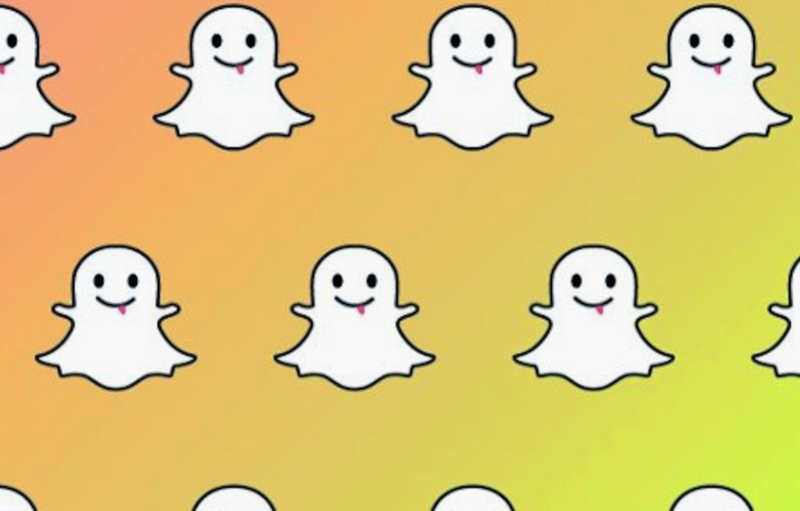 Nobody likes to be contantly bombarded with content especially on social platforms such as Instagram where people are mainly viewing the content on mobile devices (i.e. there's a lot of scrolling involved and people's time is precious. You know the drill). So how do you tackle this issue? 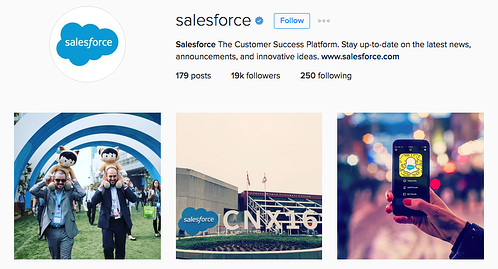 Salesforce do it brilliantly on Instagram, using high-quality infrequent posts to continual remind their audience that they exist without badgering them everyday with the same content again and again. Posting content of the highest quality ensured they got higher engagement on each post. Smart! Every 3-4 days Salesforce brief their audience on what's going on in their world whilst upping this when something genuinely exciting is occurring. As with Adobe on LinkedIn, Econsultancy have chosen to include pictures, videos and other rich media content for almost all of their Twitter posts. As well as standing out far more than normal text tweets, tweets with images receive 5x higher engagement that those without them, so says Jeff Bullas of Digital Information World. Ultimately the idea of B2B Twitter is to promote services and interact with subscribers. 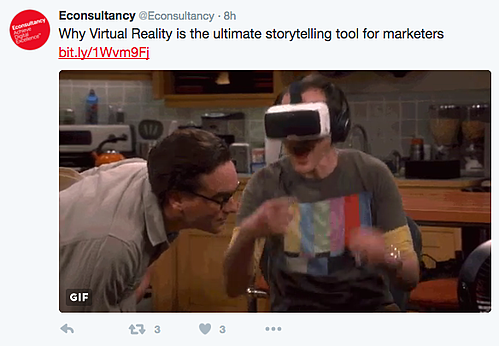 Econsultancy have succeeded as they built their brand and raised the profile of the company. A side benefit is the interaction with clients on issues or problems that have arisen. Monitoring the activity around certain industry trends is also a great way to ensure your ideas and direction is on point. Take-away: use rich media! Filling tweets with images and videos allows your content to stand out and will increase your engagement with your audience. Join a conversation rather than creating one. The quality of your posts is far more important than the quantity. 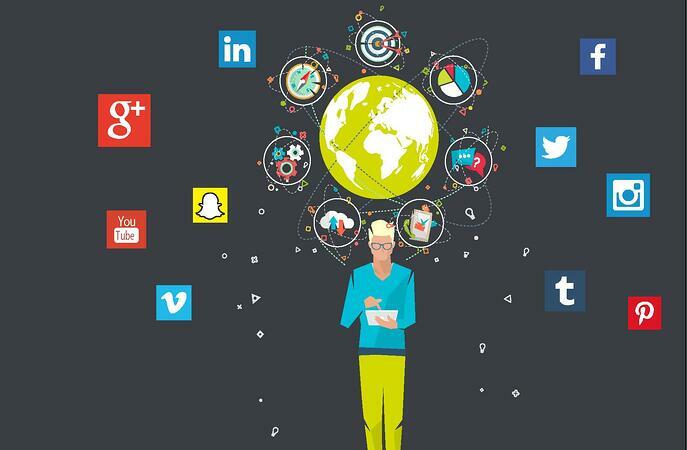 Ensuring you have a social media strategy should always be the starting block for your campaigns, this will align your brand personality and ensure everyone connected with the project will be working in the same direction. But simply it is about listening to your audience, gaining their approval and working on what works, what engages and what gets shared!